Steven Maxson is much in demand as an organist, conductor, choir-trainer, workshop-leader, pianist, composer and arranger. He was born in Lancashire, and educated at the University of Oxford, where he was Organ Scholar of Keble College. For six years, he was the Assistant Organist of Cardiff Metropolitan Cathedral. Subsequently, he spent six years as the Organist and Master of the Choristers of Grimsby Parish Church, training the choristers at the Choir School, Saint James’ School, to sing five weekly choral services. He is the Musical Director of the Grimsby Bach Choir, and was one of two founding musical directors of the North East Lincolnshire Youth Choir. 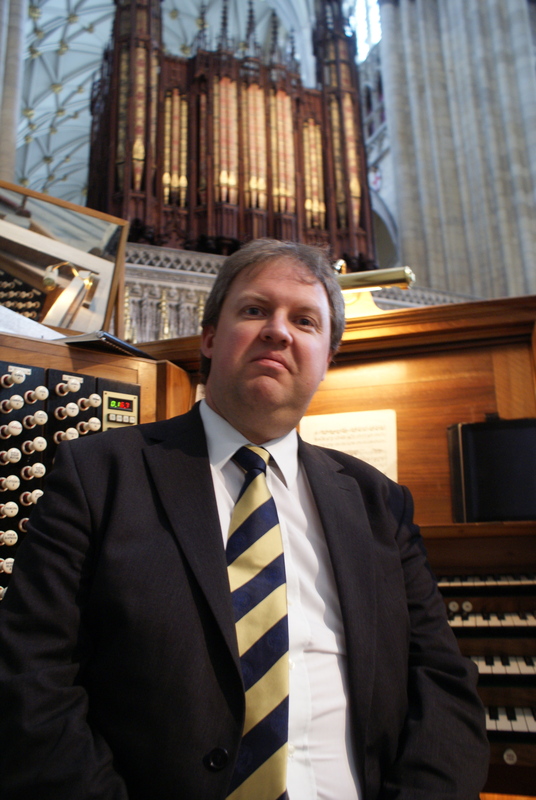 He has recently been appointed Organist and Director of Music of Grimsby Minster, having previously been Assistant Organist at the Minster for eight years. He has toured extensively in Europe as an organist and a choral conductor, and has broadcast frequently on local, national and international radio and television. Recordings include work as an organist, accompanist, conductor, composer and arranger. He has a wide professional repertoire – being at home in the classical tradition as well as work as a jazz pianist or in the use of world music in the sphere of choral music. His compositions and arrangements, similarly, span various musical genres and styles. Steven is available for work as an organist, pianist, keyboard player, conductor, workshop leader, choral animateur, vocal coach, composer, arranger, accompanist, adjudicator or examiner. Please e-mail steven@maxson.org.uk for details. Sample CD available – minimal charge redeemable against booking fees – clips also available atwww.myspace.com/musicmaxson and www.myspace.com/stevenmaxson. That’s great. My mobile is 07717767879. Ring me this evening – I’m on hands-free.